Steam Tank Ship "Wico", seen here as "Paula". build by Walssend Slipway & Engineering Co., Ltd., Wallsend. 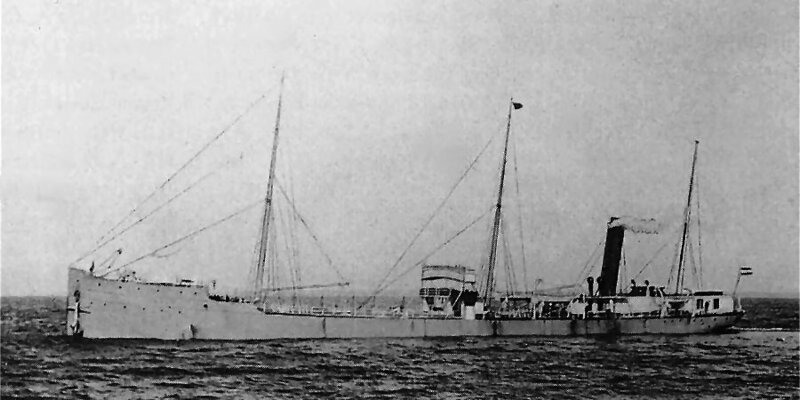 On February 1888 launch. H. G. C. Renck & A. Sanders & Co., Hamburg. Registered 23.3.1888 till 21.7.1888. 8.3.1889 taken over by AG Tank-Dampfschiffahrts Gesselschaft, Hamburg. On 8.3.1889, Boiler installation renewed by Blohm & Voss. On 13.12.1894 sold to the Deutsch-Amerikanische Petroleum Gesellschaft, Hamburg. Not renamed. On 23.9.1914 sold to the Standard Oil Co., of New Jersey, New York renamed "Wiko". On 1923 sold to Wico Steamship Co., New York and renamed "Llewellyn Howland". In 1923 sold to the Danlan Steamship Co., New York. On the voyage from Fall River to Portland/Me stranded on the Brentons Reef East of Newport. Half model of the hull of the "Minster Maybach" and "Paula". The Miramar Ship Index for "PAULA"
Wrecked 21 April 1924 on Brenton Reef, voyage Fall River - Portland, Maine, oil.